Bobs are making waves within the fashion industry lately, and here at Styles Weekly we couldn’t be more happy about it! Whether you opt for a long bob or a shorter bob, something cropped and fabulous, a bob is most certainly the must-have style of the season, so why don’t you browse this gorgeous gallery full to the brim of sassy bob hairstyles for you to choose from for the ultimate hair-spiration? 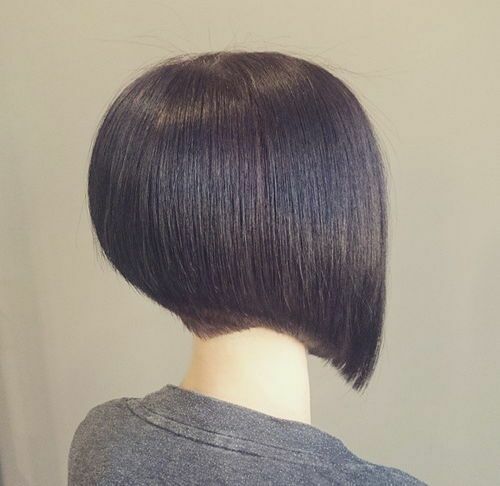 This incredibly stylish and striking asymmetrical bob style is perfectly styled, creating the most beautiful finished look that we ever did see! One side of the hair is slightly longer, and the ends are curled under and flicked in different directions, and the other half is shorter, curved under for this gorgeous bouncy finish. The rich chestnut brown finishes off the style perfectly. 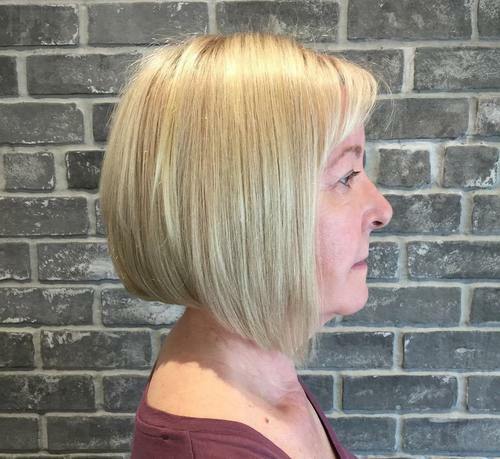 This utterly stunning woman has gone for an incredibly dramatic graduated bob, finishing incredibly short at the back of the head and working its way down into lovely, long locks which frame the face perfectly. The hair is a gorgeous and glossy finish in a deep blue black shade, and the ends are curled under to create this incredible silhouette. This incredible short bob is oh so beautiful, finished just around the ear length and worked with incredible ringlets from top to bottom, to create this utterly striking and voluminous curly finish. Working from black to a gorgeous electric blue through a balayage transition, this lady has perked up her wonderful style with an even more wonderful choice of colours! 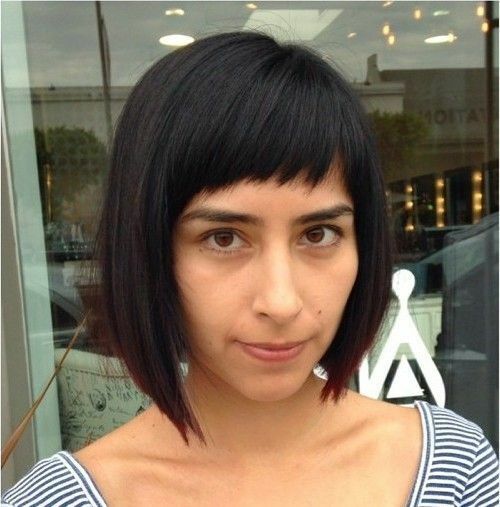 This incredible and sleek bob has stolen the hearts of the Styles Weekly crew – we think it looks absolutely gorgeous! 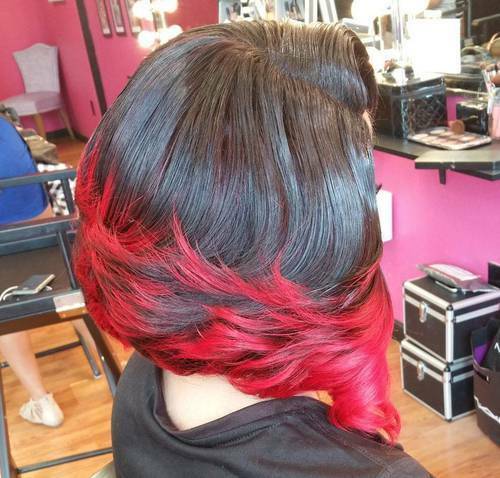 Working from a glossy black to a bright red at the very tips, this straight bob finishes around the jaw level and has a wonderful side fringe that falls right across the forehead. We think this look would be equally special with a few curls too! 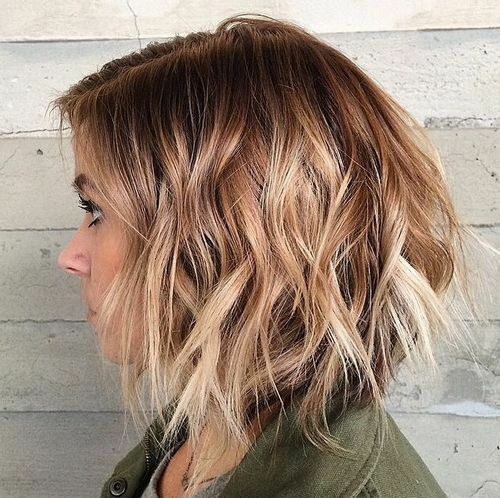 This absolutely stunning tousled bob is oh so sassy indeed! Blending from a stunning shade of caramel at the root to a remarkable white blonde at the tip, we absolutely love the colour transition at work. This super stylish lady has worked a loose tousle right throughout the hair from root to tip to create this gorgeous bouncy finish! This gorgeous and warming honey blonde bob is finished in a classic graduated style, longer at the front and shorter at the back, with a lovely side fringe which frames the face. Beautiful ringlets are worked throughout the hair from top to bottom to create this utterly immaculate finish that we think is both romantic and fashionable at the same time. 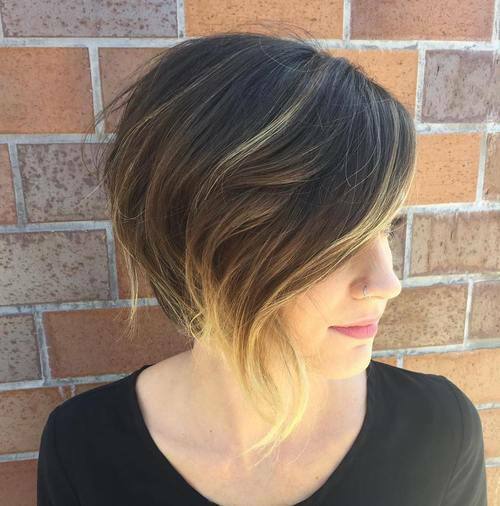 This absolutely beautiful hairstyle is cool, contemporary and oh so edgy; but we simply cannot get enough! 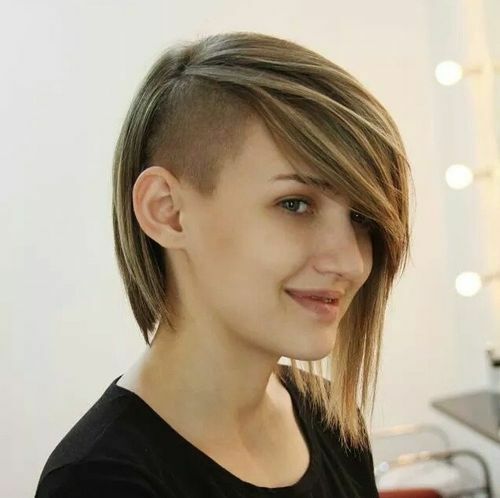 She’s shaved one side of her head very close, and has left the rest of her light brown hair to fall in a wonderful swooping side bob style. The fringe sweeps beautifully across the face and falls longer than the back, creating this amazing asymmetrical style. 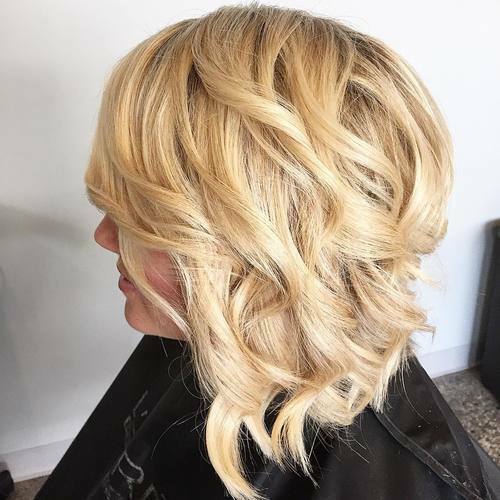 This gorgeous blonde bob is cut with graduated layers from bottom to top, which creates this absolutely wonderful curved shape. The back of the style is shorter, and it graduates towards a beautiful longer strand at the front around the jaw line. 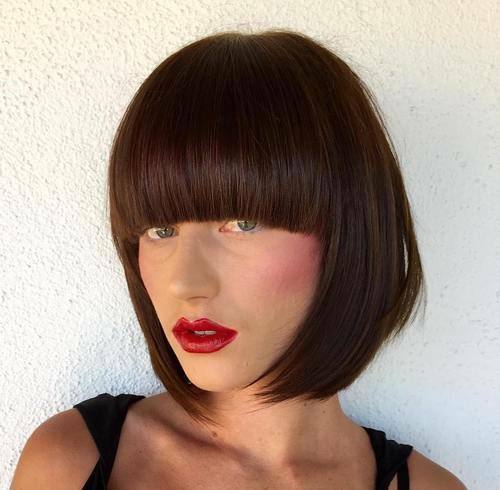 The cut is finished with a remarkable sweeping fringe, and stunning red highlights fall around the front of the face. 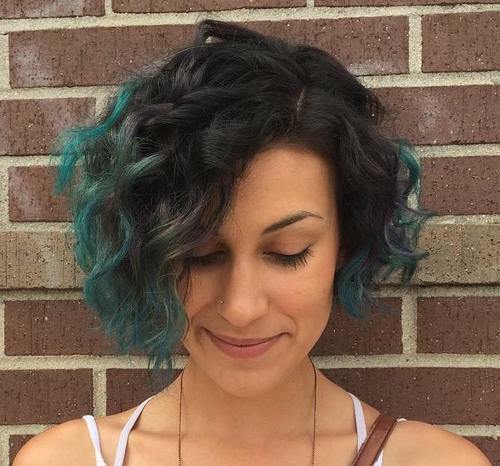 This bob style is oh so unique and utterly striking! A beautiful honey shade of blonde, this bob is curved and full of volume, finished with a lovely layer straight at the back of the head. Parted in the centre, the front strands of hair fall a couple of inches longer than the rest of the hair, working perfectly to frame the face and finish off the look. 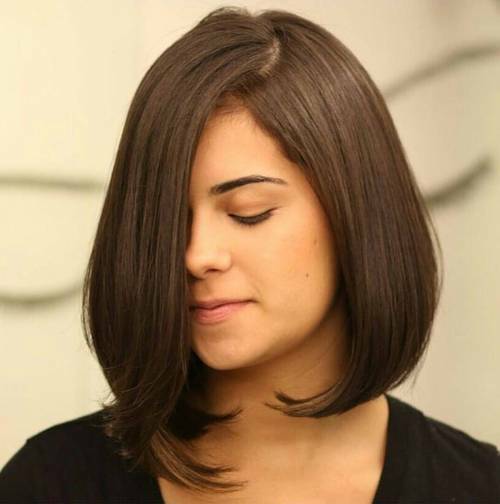 This bob is glossy, fierce and fabulous – and we simply adore it! 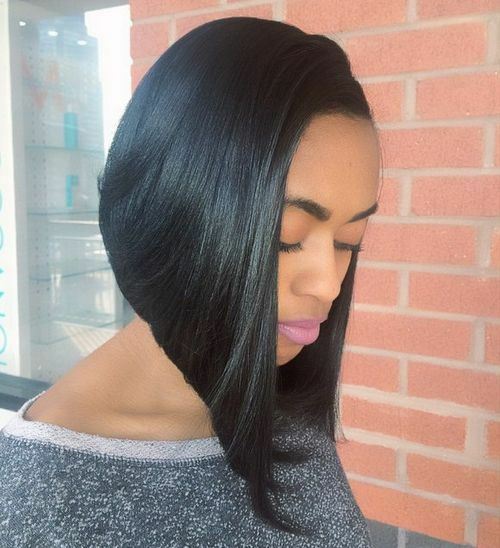 This effortlessly stylish lady has worked her beautiful and shiny black hair into a graduating asymmetrical bob, which is shorter on one side of the head, and works round into a graduated longer layer on the opposite side of the head. She’s kept her hair straight and sleek to show off the lovely layers at work. This absolutely stunning lady has the most beautiful blonde bob we ever did see! 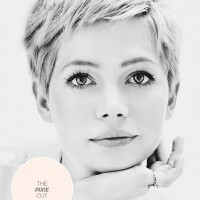 Her gorgeous hair finishes around the jaw level right the way round in a sleek and smooth line, and is finished with a sweeping side fringe across the forehead to frame the face perfectly. The shade of blonde is light, bright and utterly stunning and we simply adore the finished result. 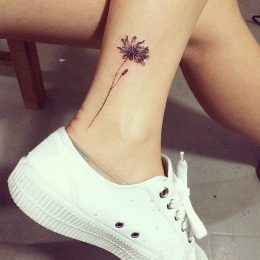 This style is elaborate and dramatic, but oh so stylish at the very same time; attracting all of the attention in the best way! 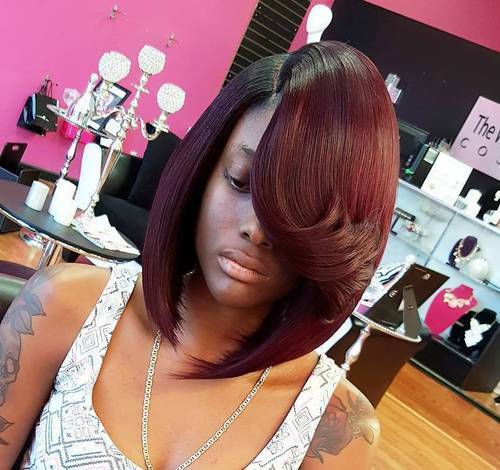 This lovely bob starts a glossy shade of black at the top and works into a vibrant and bright shade of red on the ends, which work their way from shorter at the back to longer at the front. 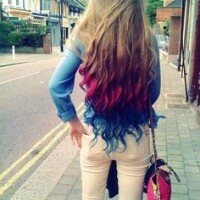 The ends are flicked and curled for this fabulous look! 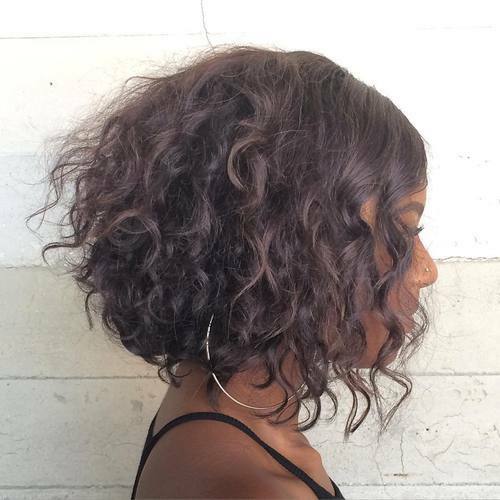 This beautiful brown bob most certainly packs a punch in the style stakes – don’t you agree? Finished in a lovely and rich shade of deep brown, this bob features an ever so slightly wedged style, shorter at the back of the head and a little longer towards the front. She’s finished her hair with utterly gorgeous ringlets throughout, and we think it’s just lovely. 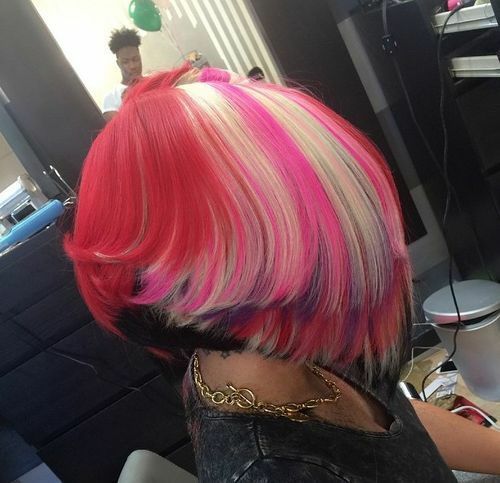 This is a totally unique and individual sassy bob, but we do absolutely and utterly adore it. Finished with longer layers at the front of the hair to the back, this incredibly sleek and stylish bob is finished with an elaborately curled back fringe, which contrasts the straight and sleek rest of the hair perfectly. We love this cherry red colour too! 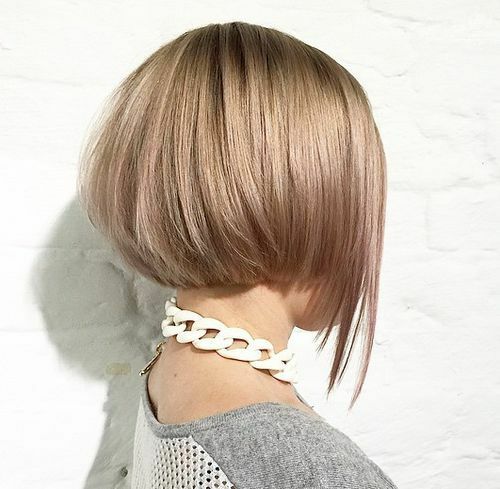 This utterly incredible hairstyle has well and truly stolen our hearts at the Styles Weekly office – and is definitely one of our favourites from this sassy bob collection. The hair is a dark and glossy chestnut brown, cut into a wonderful bob with a gorgeous curved silhouette. Finished with a blunt, straight fringe which sits across the forehead, we think this style is just perfect. Bob Hairstyles 2018: This utterly gorgeous cropped style with a striking and subtle balayage blend at the tips created a stunning and relaxed sassy bob that we simply adore. Finished with a lovely longer section at the front of the hair, shorter at the back, this gorgeous and rich brown blends seamlessly into a blonde at the tips via balayage transition. This absolutely gorgeous woman has a coy smile on her face – and if your hair was this fabulous then wouldn’t you? Her hair is a long brown bob, which falls just above the shoulders, and has been curled underneath at the ends to create this unique and curved style. Finished with a bouncy fringe which falls right across the forehead, we love this beautiful brown hairstyle. 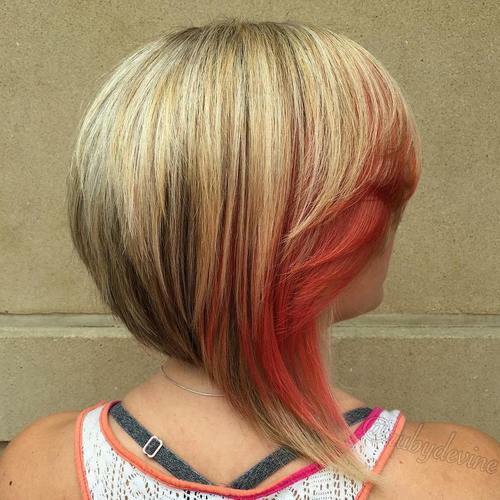 Edgy bob haircut for short hair: This utterly stunning and vibrant style is certainly sassy – and is most definitely one for the more brave among us. Her hair works from short at the back to longer at the front, in a thick and blunt, graduated style which is so voluminous! 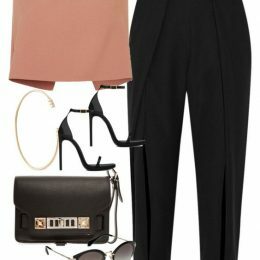 Combine that with the incredible collection of colours at work here – pink, blonde, black and purple, and you have one incredible and eye-catching look. Long Bob hairstyle for shoulder length hair : This gorgeous longer bob has been styled into the most beautiful loose ringlets from the ear length down, creating an incredible and relaxed style that we simply cannot get enough of. 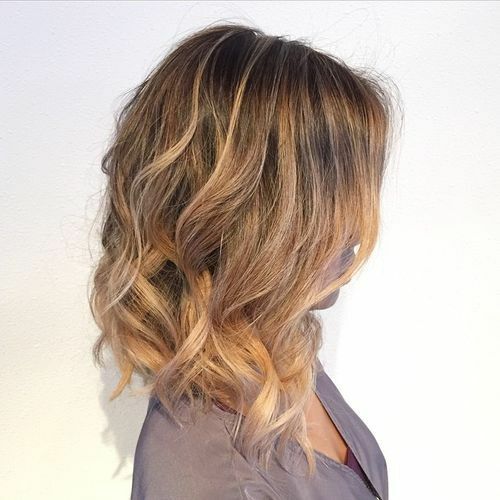 Her hair blends from brown to a wonderful shade of caramel through a natural ombre transition, and falls into this graduated long bob which falls around the shoulders in style. Which of these gorgeous bob hairstyles is your favourite? 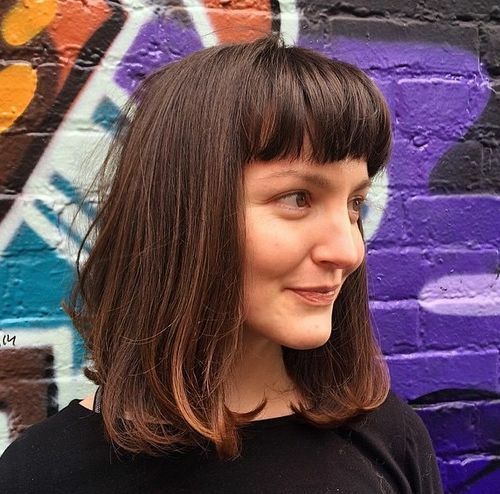 The Styles Weekly team hopes one of these immaculate styles has inspired you to work a sassy bob into your next hair cut – but let us know what you think!